Routines, especially those in the morning, often bring to us high rewards. More specifically, in order to lucid dream, we need to implement small changes in our daily life, such as reality checks, meditation, writing down in our dream diaries, etc. These are some of the essentials of lucid dreaming and if you want to skip them, well, I have some sad news – you may slow down the process of becoming lucid, big times! So, instead of looking for shortcuts, try to create a simple morning routine, that will increase your chances of becoming lucid drastically! In this article, we will focus on two really beneficial things for your whole being! These things are… *drums*: Yoga and Mindfulness! – Can everyone do yoga? – Can yoga be done at night? – What type of yoga is best for lucid dreamers and for yoga beginners? Yoga is not all about the postures; By doing morning yoga practice, you will be focusing on your breath and on your thoughts. You will increase the awareness of your thoughts and you will be able to observe them. Yoga exercises are associated with fewer sleep disturbances. Furthermore, researches showed that there is a positive effect of yoga on sleep quality and also, it has the potential to improve insomnia symptoms. 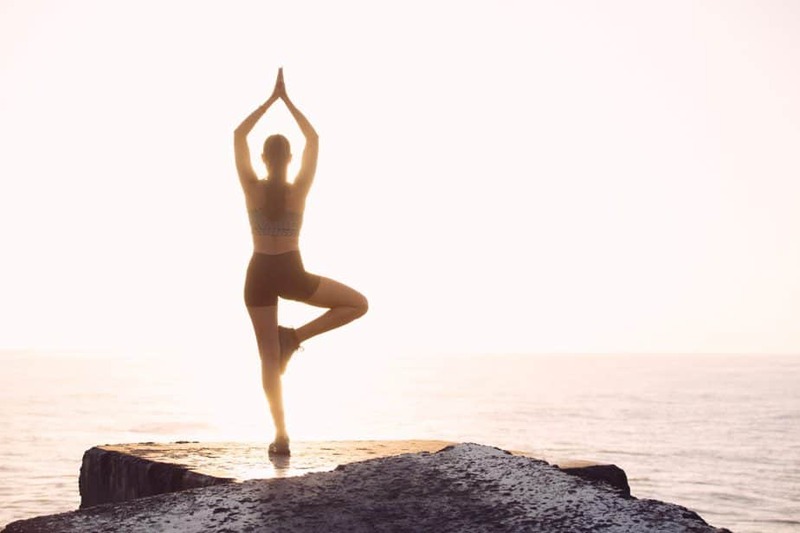 Regular practice of yoga resulted in a significant decrease in the time taken to fall asleep and an increase in the total number of hours slept. And we don’t stop here! Yoga practices are having more energy and they are feeling well-rested each morning. Frankly, yoga has a positive influence on sleep patterns in individuals! Yoga increases physical, emotional and spiritual wellness, and brings true peace, of which many people crave. Yoga, breathing exercises, and meditation can reduce stress, promote healing, and enhance the overall quality of life. Melatonin is also known as the ”the sleeping molecule”. It makes our dreams more vivid, it increases our ability to remember them, and what is more – we feel more in control of the dreams. Yogic practices are shown to improve cardiorespiratory performance, psychological profile, and melatonin levels! The production of melatonin makes us more relaxed and the higher the levels are promoting a good night’s sleep, therefore – higher chances of lucid dreams too. Read more about melatonin – here. Yoga improves our focus and concentration by soothing the mind and getting rid of distracting thoughts! According to a recent study (the University of Illinois at Urbana Champaign), practicing yoga daily for 20 minutes can promote brain function and actually focus better on tasks. The yoga state is associated with relaxation, being in the moment, and increased awareness. In yoga, it is an essential concept because ancient yogis believed that the universe originated from a supreme Consciousness. Yogic practices enable practitioners to examine and learn the nature of consciousness through meditation, or examination of the mind. Dream yoga, also known as ”Yoga Nidra” is a state of consciousness between waking and sleeping! Lucid dreaming forms the foundation of dream yoga. Yoga Nidra is a combination of transformational lucid dreaming, conscious sleeping, and out-of-body experiences. These practices are aiming at spiritual growth and mind training. Dream Yoga comes from Tibetan Buddhism and it involves tantric methods and procedures. The best way to experience it is straight from a qualified instructor (find free Yoga Nidra videos here). When trying to perform a lucid dream it is really crucial to be relaxed. Lucid dreaming requires a lot of patience, practice, and willpower, so learning to control your thoughts and your body is essential! The truth is that practicing yoga doesn’t have to be always all about the postures. Meditating is a part of each yoga practice and it has unlimited benefits! To be aware of our thoughts and to be able to observe them could be extremely useful for lucid dreamers. Yoga, lucid dreaming and meditation require higher states of awareness. The simple practice of meditation will help you to become more focused, self-aware and thoughtful. The bottom line is that by performing deep relaxation you will increase your chance of having lucid dreams, and you will improve your dream recall and visualization skills! 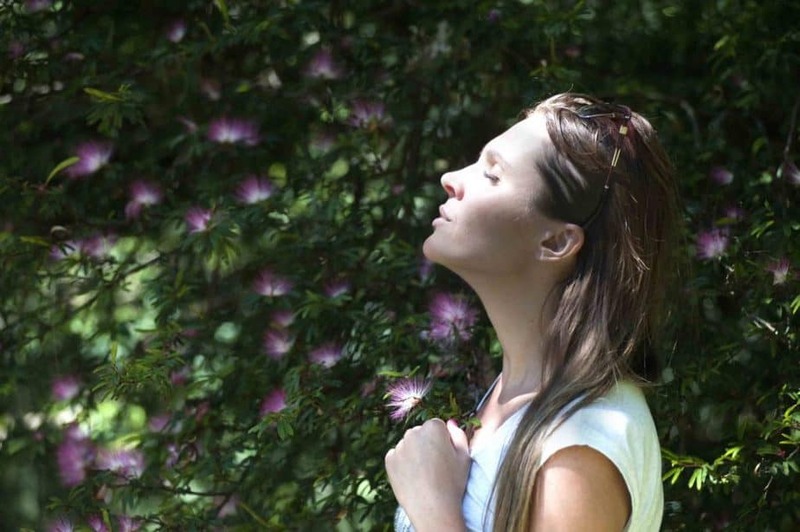 When the mind is busy and overflowing with thoughts, paying attention to the breath can bring us out of the trap of the mind and turn us back to the reality. It is another aspect of yoga, which is another key point of increasing our awareness, which will end up in bigger chances to have lucid dreams. It is not necessary, but if you are more spiritual, lucid dreaming can be experienced remarkably easy! And here are the good news – Yoga makes us more spiritual! It teaches the mind to be present, focused and well-balanced. Practicing yoga will not only increase our spirituality but also will allow you to take a deeper look within yourself. This will help to accept our anxieties and feelings, and to confront them. 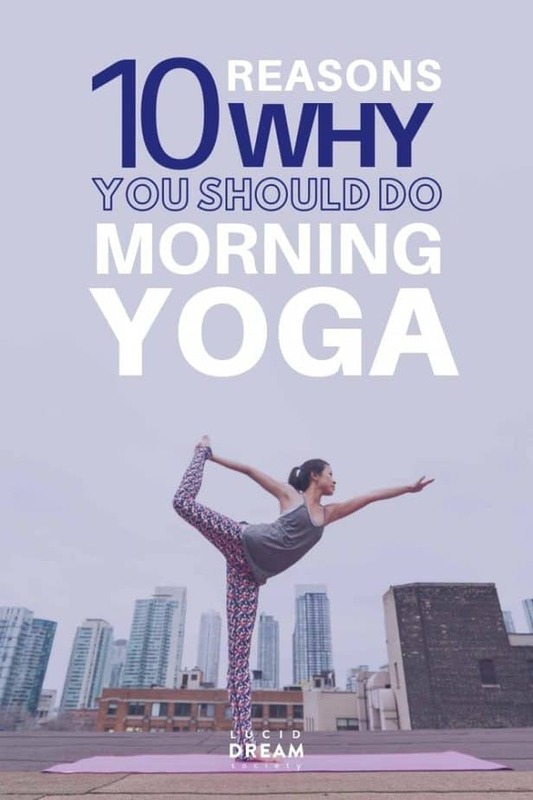 Yoga in the morning is a really great help in improving mental clarity and focus while eliminating any kind of tiredness that frequently is accompanied by mornings. What’s more, yoga is a fantastic option for physical exercise! It assists to release the muscles in the body while improving mental clarity and increasing the energy within the body. Yoga also reduced negative feelings, stress, and anxiety. Isn’t that enough convincing? Who wouldn’t enjoy starting his day in such an amazing way! Yes! Yoga is literally for everyone who is interested in lucid dreaming, as well as starting healing, strengthening, calming, and empowering practice! Yoga will bring clarity, focus, and peace to your mind (features, that are quite important for a lucid dreamer!). It is for everybody, regardless of age, race, size, gender, shape, size, shape, background, etc. When I asked my boyfriend to do yoga with me, his words were ” Yoga is boring…”. Eventually, since I didn’t stop asking him if he wants to join me, finally he did. After that, he started practicing yoga with me almost every time, and he was telling everybody how amazing it actually is! So, think twice before rejecting it! You are not too old, or too stiff, or too busy for it! It is really an amazing thing that can bring us so many positive features. Can yoga be done at night? Of course! You can do yoga at any time of the day – the practice is important, not the time of the day. No matter when you exercise it will promote a good night’s sleep! Yoga won’t do anything that will harm you in any way. Doing yoga at night will relax your mind and body, which will simply lead to better sleep! It won’t activate your body and make you sweaty or tired, but just the opposite! The only thing you should consider is keeping your stomach empty while practicing. A friend once told me that she ate her morning breakfast and then she decided to do a quick yoga sequence. She thought that it won’t be a problem since it is just yoga, right? You simply do stretching. However, in about 10 minutes of practicing, she said she felt so sick that she couldn’t continue, and she was feeling like that the whole day! There are different types of yoga, depending on what you want to get out of your yoga practice should choose the one that works best for you. 1. Hatha yoga is a great start if you are a beginner because of its slow movements. “Hatha” – represents all the physical practices of yoga, includes slow stretches and breathing exercises. You will learn to do and maintain poses and concentrate on your breathing. 2. Another option is Kundalini Yoga. It is a great choice for lucid dreamers and people looking for spiritual practice. Kundalini is a very old form of yoga, which is focused on a combination of poses and breathing. The poses are performed together with certain breathing techniques. Physically and mentally challenging practice that seems very different from your typical yoga class. 3. The third good option for beginners is Yin Yoga. It is calm and slow practice, that will support balance in your body and mind. The poses of Yin Yoga are held for several minutes at a time. This meditative practice is designed to target your muscles and elasticity. Be aware: you may feel a bit impatient at first, but stick with it for a while to truly experience its therapeutic powers. It is best for people who need to stretch, reflect and unwind.